Find out how was Mabel's experience in EC Vancouver! Mabel was in Mexico three months ago when she decided to take a flight to Vancouver to learn English in Canada.Here is what he thinks about our English courses in Vancouver and her experience in Canada. I chose to study with EC English because of the system that they use, it seems to be the best one in order to get a high score in IELTS. There’s no other option where I can find any Higher Score system for IELTS preparation. There are many things that I liked about the teachers in EC but I would say that they are very friendly, because they are available to help every student at any time. Besides, EC teachers are very creative because they’re always looking for new ways to teach, giving us additional material to improve our English skills. My best memories of EC are the great times when I met friends from all over the world, these people are going to be my friends forever because we shared incredible moments discovering Vancouver together. We went to Grouse Mountain, Lynn Canyon Park, Lower Seymour Conservation Reserve, Pacific Regional Park, and Burnaby Lake. In these places you can find peace and you will get in touch with nature. They’re great options for someone who loves hiking. On the other hand, if you are not interested in hiking but you really enjoy spending time in nature then I’m pretty sure that you will have an awesome time in Deep Cove, Stanley Park, Granville Island or the city of Victoria. You will find that there’s not enough time to discover all the beautiful places that Vancouver has for you because it’s a big city. To make the experience more enjoyable you will find polite people on the streets and you will not have to worry about getting lost because someone will be there to help you at any time. Even at night without any doubt VANCOUVER is the safest city I have ever been to. In regards to the accommodation, I had wonderful time living with a Homestay Family, I could practice my English. 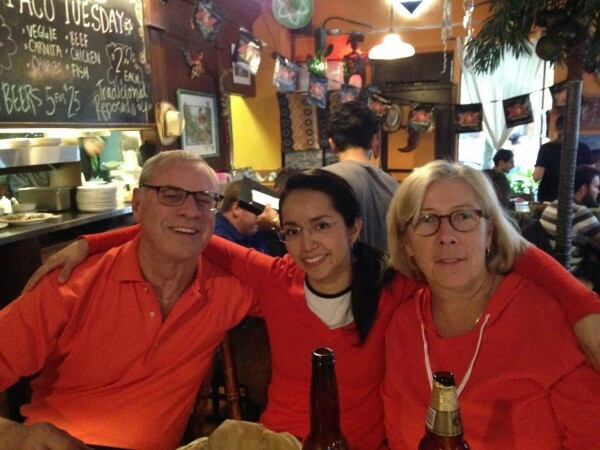 The Homestay family and I spent a lot of time together, for example, we went to the exciting Sport’s event, FIFA Women’s World Cup located at BC Place, where we saw 2 soccer matches. Talking about the food, particularly dinner time was the best part because it was the perfect moment to chat about our day and the activities that we did. The different style of meals was never dull. The family cooked a variety of different meals, such as Mexican, Greek and Arabic foods. Living with Homestay was the best choice I made!